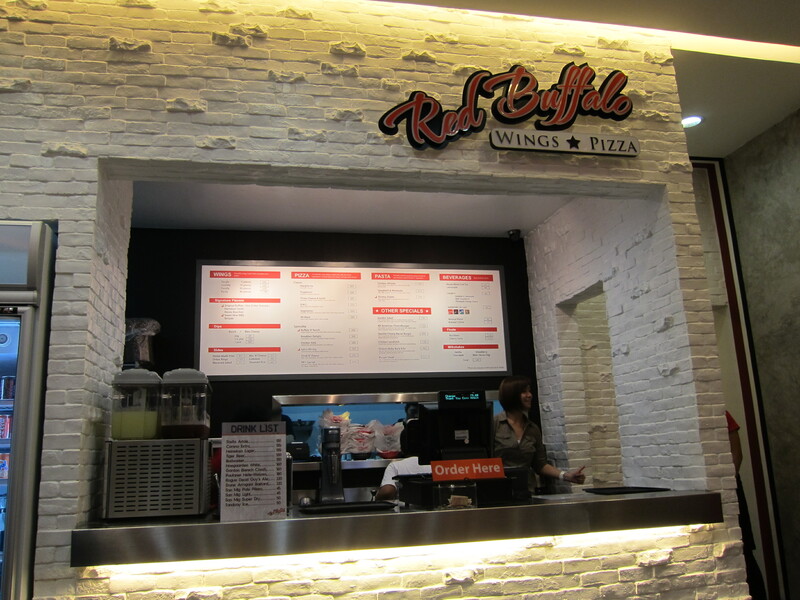 Still on soft opening mode, Red Buffalo Wings and Pizza was started by a husband and wife tandem. They opened last December 23 to the public. 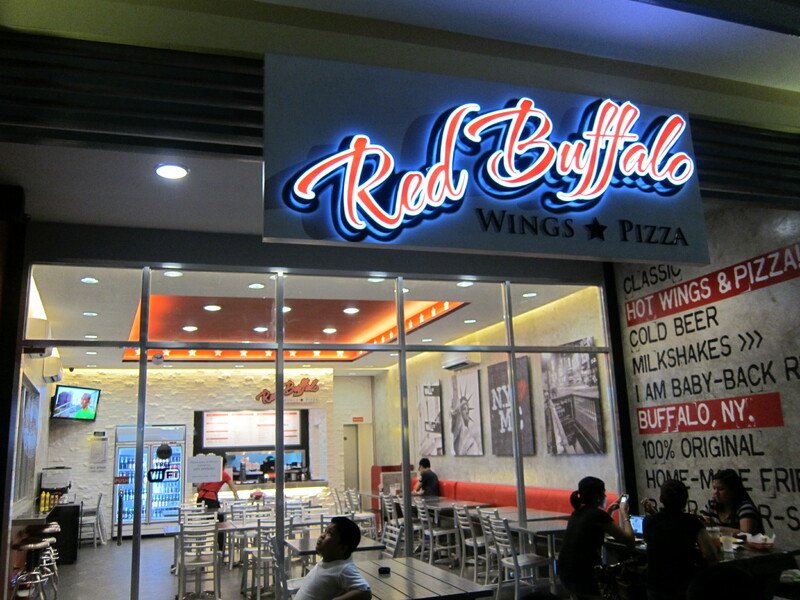 Located in a new restaurant strip which includes Sumo Sam, McDonalds, Ha Yuan, Hanobe, Pastry Princess, and others, the yet to be named complex is just along Gilmore Ave. in San Juan. 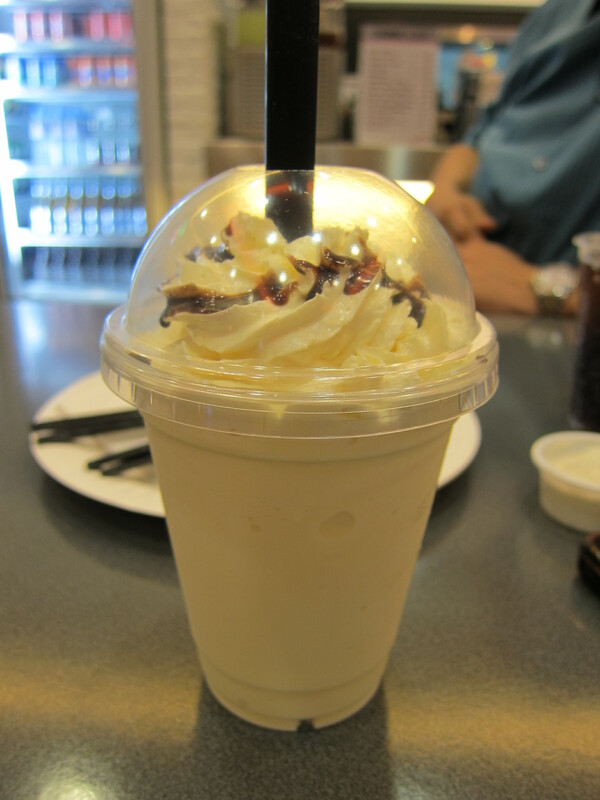 They offer comfort food – pizza, chicken wings, a variety of beer and milk shakes. The restaurant has a high ceiling and is designed like an American diner. 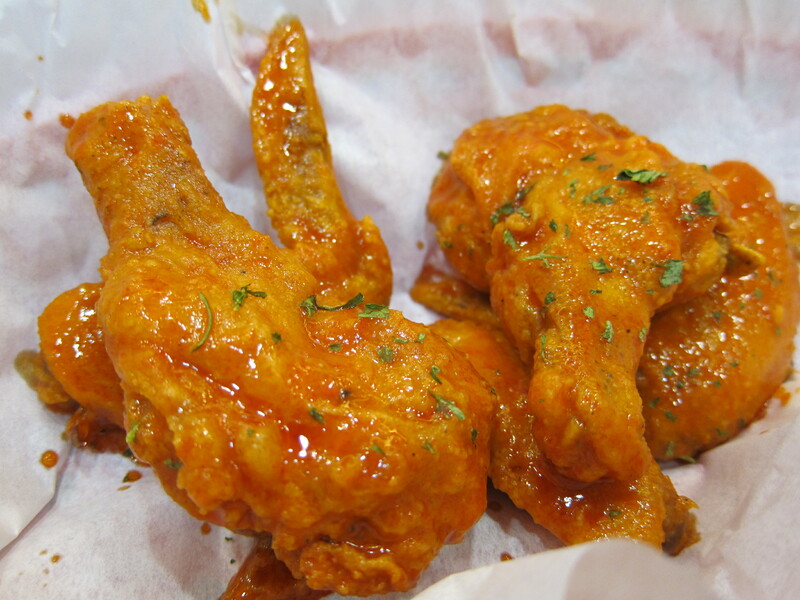 I liked the tanginess of the original hot wings and the sweetness of the parmesan version. They still came crispy in the outside and juicy in the inside. The serving size is also not bad. I love thin crust pizzas and this is one of the best one I’ve tried in recent years. 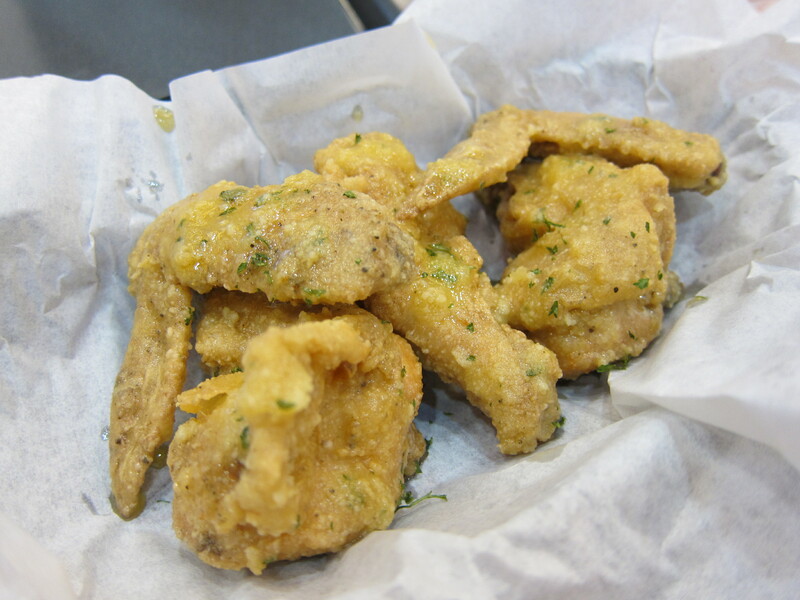 Its thin yet crunchy. 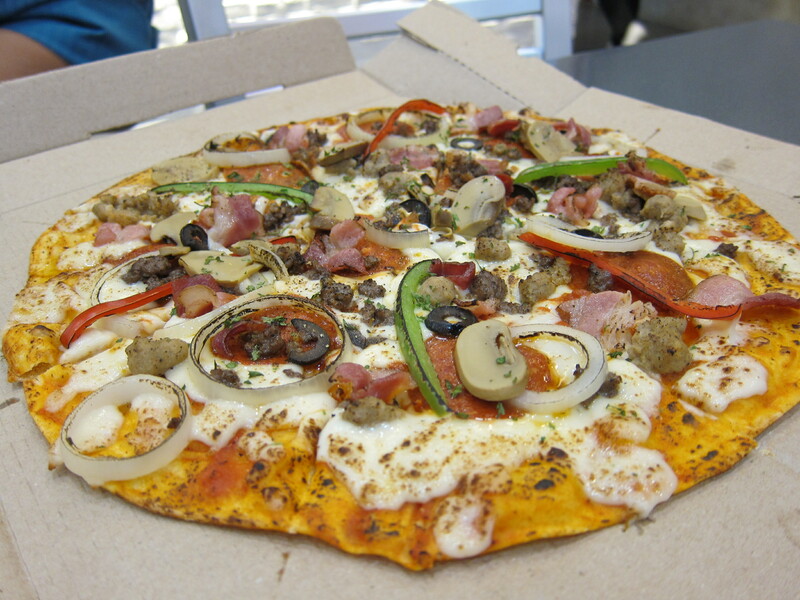 Reminds me of the old Angelizza pizzas across Ateneo.